Got phone butterfingers? Help yourself out with a Momo Stick. 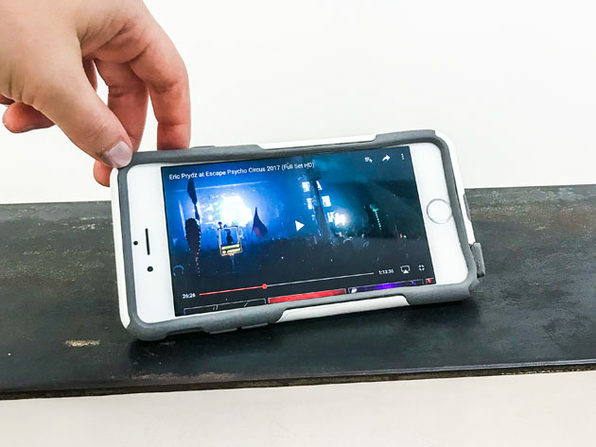 This simple device attaches to the back of your phone, adding barely any bulk, while allowing you to push up the attached band to create a perfect grip for your finger. 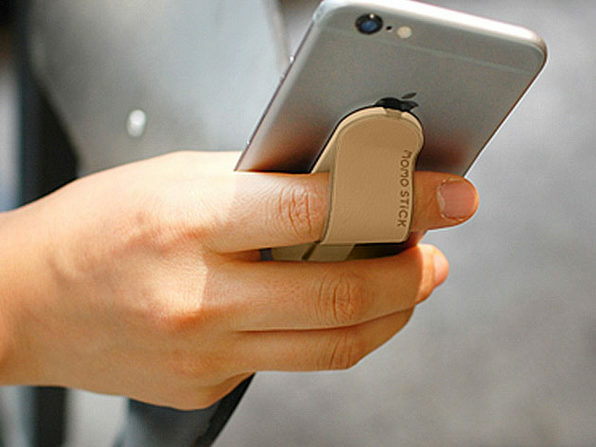 You can take better photos, and even put the Momo Stick in your car's vent to act as a phone mount while driving.